By becoming a friend of the Jack Studio Theatre, you can play a vital role in supporting the theatre’s work. 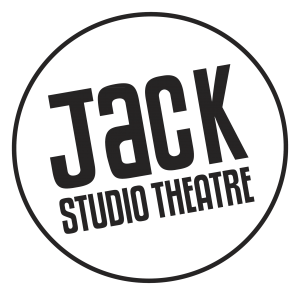 The Jack Studio Theatre is a registered charity in the UK. Like many London fringe venues, the theatre is completely unfunded and relies on the support of its audience and friends. As many of you have expressed a desire to support the theatre, we have now launched our Friends Scheme. All donations will help us to continue presenting high quality, affordable and accessible theatre for our community and beyond, as well as maintaining the upkeep of the theatre’s technical facilities. Jack Friend. Annual membership is £40, two bought together are £65. Jack Angel. Annual membership is £100, two bought together are £160. *the theatre produces a minimum of two in-house shows a year. You can purchase your annual membership by clicking on the payment links below. You will receive an email from the theatre to acknowledge your payment and thank you for your support. We would appreciate any amount of support you can give. You can also make one-off donations via our website, or at the point of purchasing tickets. We do hope you can join us! Thank you. We would like to thank everyone who has joined our Friends Scheme.